Here’s a recommended desktop PC that would surely be a reliable tool for modern entrepreneurs. Are you looking for a better, more efficient, and more reliable computer that would make you well-equipped as you continue managing your business? With so many options available in the market, choosing the best one to suit your enterprise can be a daunting challenge. Fortunately, Asus is giving you another ideal choice---its new business desktop computer called ASUS BM Series (BM1AD). 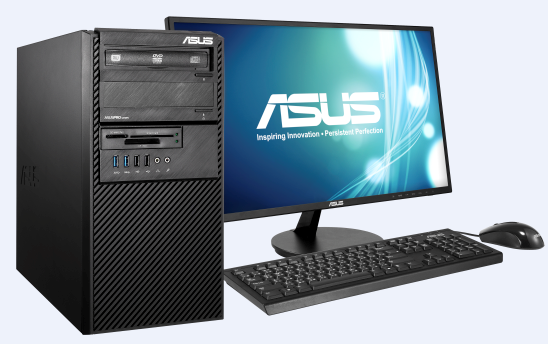 As part of the newly introduced ASUS Desktop Computers, this machine is a simple and smart personal computer (PC) model. It is most suitable for daily tasks in the professional worlds. Needless to emphasize, this business PC is part of the brand’s continued efforts to bring about incredible products at reasonable costs. Packaged with 3-year local warranty for all Asus Desktops, this next-generation business PC bolsters efficiency of users and assures smarter performance. Asus is confident about how Desktop will easily live up to the expectations especially from the business community and regular end-users. Powered up to 4th generation Intel® Core™ i5 Processor, ASUS Desktop BM Series (BM1AD) comes with about 100GB of free space within the cloud storage service Asus WebStorage. 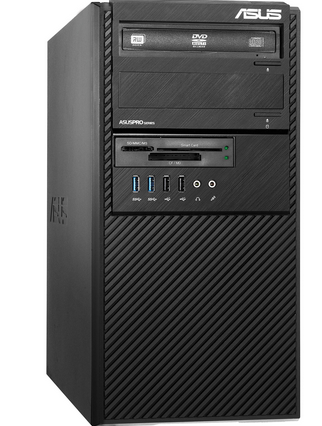 This desktop PC has extended support to DDR3 memory of up to 16GB. And because it is equipped with up to 4th generation Intel® Core™ i5 Processor with up to 4GB of RAM and 500GB SATA Hard disk, the machine’s superior performance is insured and there will always be enough space to save businesses’ important data. The BIOS interface is similar to the user interface that most users are familiar with when it comes to desktops. There are two USB ports in the front and four on the rear to facilitate high-speed transferring of sensitive and important data without any possible hassle. Asus’ unique AI security management tool is integrated into the system to help protect data from any unauthorized access and attacks from malware. It also restricts users’ access to very confidential data for better security. There is a padlock slot along with a Chassis Intrusion Alert that generates special security alerts every time the PC case is opened. The Asus Secure Delete allows users to securely delete every confidential data. Meanwhile, the Trusted Platform Module (TPM) data security ensures safeguarding of internal information structures against all possible threats. Thus, sensitive data like passwords, keys, and digital certificates would be kept safe from physical theft, external attacks, and all other types of possible intrusion. Lastly, ASUS Desktop BM Series (BM1AD) boasts of the innovative Asus Energy Processing Unit (EPU) that is believed to be the very first energy saving controller in the world. It can optimize efficiency through detection of CPU loans in real time and improving efficiency in various usage types to enhance system stability and expand the lifespan of the PC. Moreover, on top of all these striking features is the desktop PC’s equally impressive reasonable price tag. It is budget friendly without compromising utmost usability, making it a very ideal investment---a necessary tool that would truly be beneficial for your growing and demanding business and operations needs. To know more about Asus BM1AD, follow this link. For inquiries, pls. contact ASUS Customer Contact Center +63(2)798-5700. *Keyboard and mouse are included in the package. LCD monitor is sold separately.